Another weekend has rolled around and it's time to start trackbacking. The picture above was taken at Lake Havasue, Az. It's one of the gargoyles guarding the London Bridge. 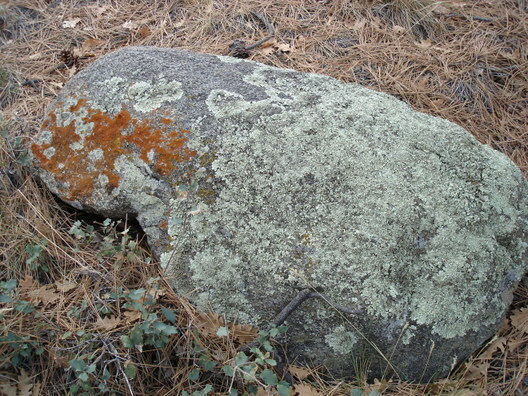 It was purchased from the British in 1968, taken apart stone by stone, and reassembled at Lake Havasue. The bridge spans a canal near the Colorado River. The Bridge is Arizona's second most popular tourist attraction next to the Grand Canyon. Trackposted to Outside the Beltway, Is It Just Me?, Perri Nelson's Website, The Random Yak, Big Dog's Weblog, Right Truth, Adam's Blog, basil's blog, Stuck On Stupid, Thought Alarm, Phastidio.net, The Bullwinkle Blog, Conservative Cat, Pursuing Holiness, Sujet- Celebrities, Diary of the Mad Pigeon, The HILL Chronicles, third world county, Woman Honor Thyself, The Crazy Rants of Samantha Burns, stikNstein... has no mercy, Pirate's Cove, Blue Star Chronicles, Renaissance Blogger, The Pink Flamingo, Dumb Ox Daily News, High Desert Wanderer, and Right Voices, thanks to Linkfest Haven Deluxe. 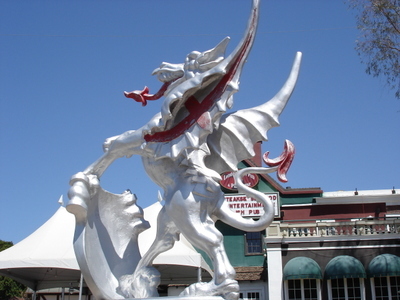 The name Amboy comes from a ghostown along rt 66 in the California desert. The name worked for my blog on many levels. Amboy sounds like an acronym for American Boy. 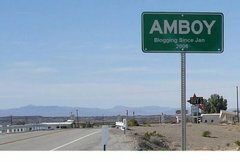 The fact that Amboy has a population on 29 would perfectly reflect the new blogs diminutive readership compared say, to Little Green Footballs. The town of Amboy is on route 66, reflecting my interest in long road trips and American history. I want to thank "My Favorites" (see sidebar) for their support when I first started. Their encouragement meant a lot. As of this writing, the total number of visitors of this blog and the old blogspot Amboy are 10,051, with 15,390 page views. Not bad for my first year. Thanks again everyone. This post is also an Open Trackback, so feel free to send your posts along with a hello. Trackposted to Outside the Beltway, Perri Nelson's Website, Mark My Words, The Random Yak, Big Dog's Weblog, basil's blog, DragonLady's World, Shadowscope, The Bullwinkle Blog, Conservative Cat, Pursuing Holiness, third world county, The Crazy Rants of Samantha Burns, stikNstein... has no mercy, Pirate's Cove, Blue Star Chronicles, Planck's Constant, The Pink Flamingo, Constitution Matters, Dumb Ox Daily News, High Desert Wanderer, Right Voices, and Gone Hollywood, thanks to Linkfest Haven Deluxe. So unless your are a spammer (yes, I do get t/b spam) your trackback will be approved as soon as I get back from my lesser duties in life. No one gets intentionally excluded, so if your post hasn't shown up after all full day, leave a comment or send me an email. Feel free to post as many articles as you want, all I ask is that you link to this post at least once during the weekend. So, if you link here Friday night, you can trackback all through Sunday night with only one link. How's that for a bargain? Oh, and have a good weekend. Trackposted to Outside the Beltway, Perri Nelson's Website, The Random Yak, Big Dog's Weblog, basil's blog, Stuck On Stupid, Conservative Cat, Pursuing Holiness, Rightwing Guy, Wake Up America, Diary of the Mad Pigeon, Woman Honor Thyself, stikNstein... has no mercy, The Crazy Rants of Samantha Burns, The World According to Carl, Pirate's Cove, Blue Star Chronicles, Renaissance Blogger, The Pink Flamingo, Dumb Ox Daily News, High Desert Wanderer, Right Voices, and Gone Hollywood, thanks to Linkfest Haven Deluxe. Send your best posts, and enjoy the weekend. 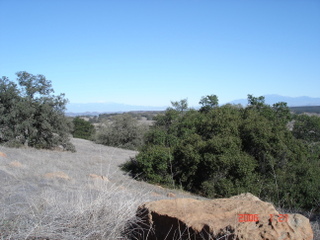 The Reserve consists of 8,300 acres and protects unique ecosystems like Engelmann oak woodlands, riparian wetlands, coastal sage scrub, chaparral, bunchgrass prairie and vernal pools. Some animal species protected on the Reserve include mule deer, mountain lion, badger, bobcat, western pond turtle, white-tailed kites and fairy shrimp. Have a great weekend and send a trackback. 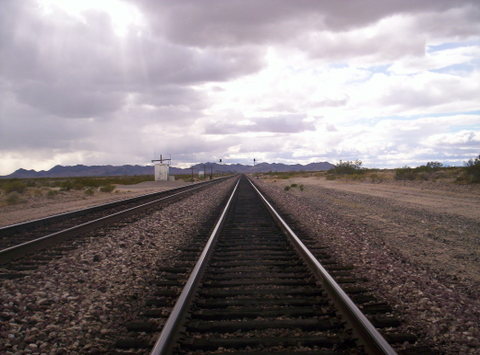 Trackposted to Outside the Beltway, Perri Nelson's Website, Don Surber, Adam's Blog, Stuck On Stupid, The Amboy Times, Conservative Cat, Pursuing Holiness, Wake Up America, 123 Beta, Rightwing Guy, Outside the Beltway, Diary of the Mad Pigeon, third world county, Faultline USA, Woman Honor Thyself, stikNstein... has no mercy, The Crazy Rants of Samantha Burns, The World According to Carl, Blue Star Chronicles, Pirate's Cove, Renaissance Blogger, The Pink Flamingo, Dumb Ox News, High Desert Wanderer, and Right Voices, thanks to Linkfest Haven Deluxe. Stop the ACLU has open trackbacks and a video of the pig races. Open Trackbacks all weekend and New Year's Day. Here's the lyrics to Auld Lang Syne, and the history and traditions of New Year's Day. Have a safe and happy one everybody. This is my open trackback for the weekend. So it happened that while they were there in Bethlehem the time came for her to give birth. She gave birth to her first child, a son. And, as there was no place for them inside the inn, she wrapped him up in a blanket and laid him in a manger (a feeding trough for animals). 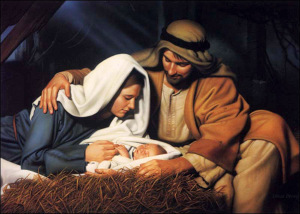 Then Joseph gave him the name Jesus, just like the Angel of the Lord told him to do. And there were some shepherds living in the same part of the country, keeping guard throughout the night over their flock in the open fields. Suddenly, an angel of the Lord stood by their side, and the splendour of the Lord blazed around them and they were terror-stricken. But the angel said to them, Do not be afraid! Listen, I am here to announce a great and joyful event which is for all the people around the world. This very day, in David’s town (Bethlehem), a Saviour has been born for you. He is Christ, the Messiah and Lord. Let this prove it to you; you will find a baby, wrapped up and lying in a manger. And, in a flash, there appeared with the angel a vast host of the armies of Heaven, praising God, saying "Glory to God in the Highest Heaven! Peace upon earth among men of goodwill! Open trackbacks all weekend long, so don't be shy, bring your best posts! Trackback twice for the price of one, Wow! It's all the trackbacks you can eat, all weekend long! 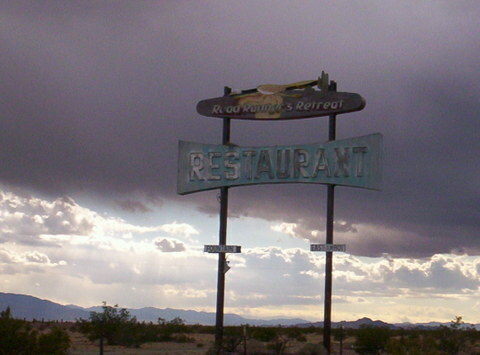 The old Roadrunner Retreat on Rt 66 near Amboy, CA. Other OTA's, Samantha Burns, Woman Honor Thyself has presents, Stuck on Stupid has U of Georgia news, Linkfest Haven, The Pirate's Cove features a new member of the surrender monkey club , Random Yak has Christmas spirit. It's talk radio weekend at Uncooperative Blogger , Third World County has Rudolph, The Hill Chronicles features Madame X, Conservative Cat has four-flavor, protein-rich open trackbacks. Take your time in the Beltway Traffic Jam , join the Weekend Free for All at Stop the ACLU. This is the Thanksgiving recovery edition of the Open Trackback Weekend. The Dumb Ox: Pelosi Proposes: "Let's Replace War in Iraq with a Moral Equivalent!" World According to Carl has Open Trackback Friday and a comical photoshop. out City Troll's contribution to the comments section. The Hill Chronicles says It's all about the party.........and offers an OTA.